Did you just love refrigerator magnets when you were growing up? I mean, everyone had them back in the day. From those adorable little fruits to the ABCs that kids could learn to spell with, everywhere you went you saw kitchen magnets. If you love those little things as much as I do, you are going to really love this latest DIY collection. I found 20 easy DIY refrigerator magnets that you can make yourself to decorate your kitchen! There are some wonderful DIY projects in here. Some of these are very retro and will bring to mind your childhood and others are rustic or even contemporary in their design. All of them are super easy to make and are really going to help you to add some nice decoration to the fridge. You can even let the kids help you with these. From alphabet magnets to arrow clips and even some great photo magnets, I promise that you will find a DIY refrigerator magnet that you love. And, while you’re decorating your kitchen, check out these 20 rustic DIY kitchen signs to match your rustic farmhouse décor. These DIY kitchen magnets will also make wonderful gifts for housewarmings, birthdays or just any occasion. They are sure to be a gift that will not be forgotten quickly, just like these 25 easy DIY hostess gifts that are sure to get you invited back. These refrigerator magnets are so much fun to make and to use, no matter what your style preference. You can do some of these with repurposed or upcycled materials, too. If you need a great set of kitchen magnets, this is definitely the DIY post that you want to check out. 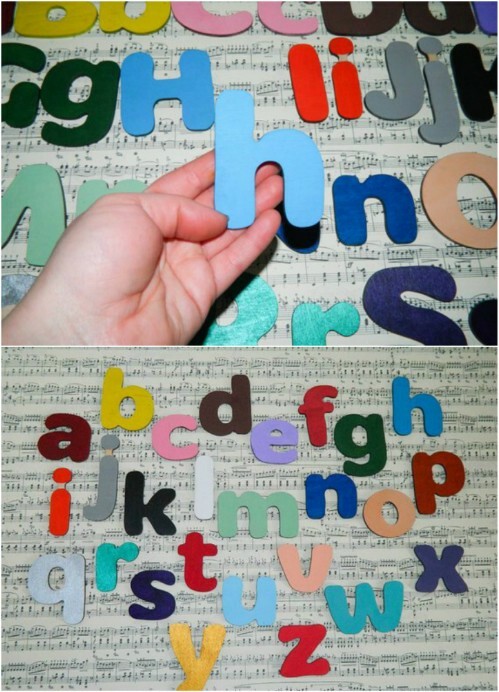 These little alphabet magnets are so adorable and they are perfect for helping to teach your little ones their ABCs. You can make these with cardstock and wooden clothespins. Just print off pictures of animals and letters and put them all together. The clothespin holds the magnet which holds it all to your fridge. I found these on Etsy and they do look really easy to make. Or, you can just grab these. They’re $20 and you get one of every letter in the alphabet – with a coordinating animal! How about some cute arrow magnets? You can use these to point to important reminders that you hang on your fridge! And, they are so easy to make. You need wooden clothespins, along with magnets and a hot glue gun to make these. Colorful duct tape that you stick onto popsicle sticks makes the arrows. You have to love fun DIY popsicle stick crafts. These are super simple and really cheap to make. These would also be great DIY desk organizers to keep your papers separated. How adorable are these DIY bottlecap food magnets? These are too cute and they are really easy to make. If you are looking for a great bottlecap craft, you just have to take a look at these. You can do them in any number of foods from cupcakes to pizzas and donuts or anything you want. They’re super easy and bottlecaps are cheap – just keep them when you finish your glass soda bottles! You know those old buttons that you have in your sewing box? Would you like a fun way to repurpose them? 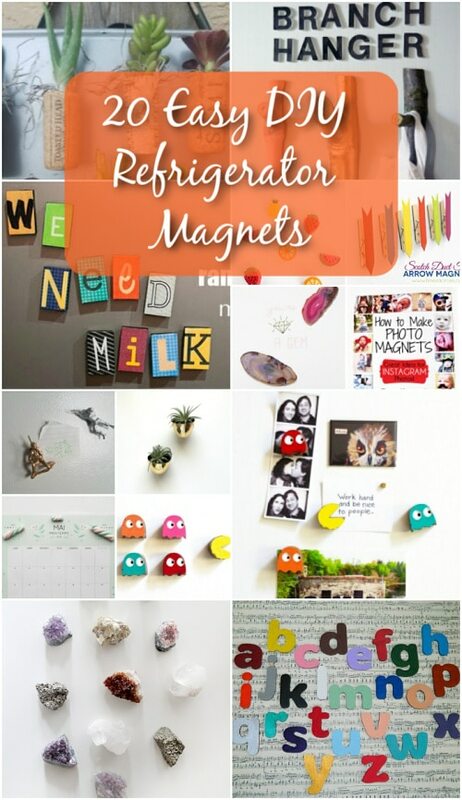 Add some magnets and turn them into the most adorable refrigerator magnets you have ever seen. These are so easy and they’re really cheap – if you have a collection of buttons then you just have to buy the magnets and have a hot glue gun on hand. Talk about easy and these are perfect for those of you who love to sew. If you want something a bit more elegant, these DIY raw crystal magnets are it. These are gorgeous and they take very little time to make. You can make an entire collection of these in about five minutes and they don’t cost a lot to make, either. Check your local craft and hobby store for the crystals or look online. 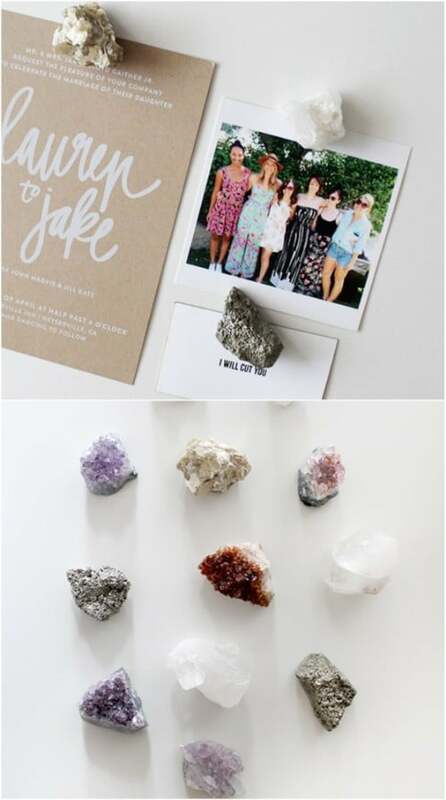 Aside from the crystals, you just need some magnets and a hot glue gun to create these. 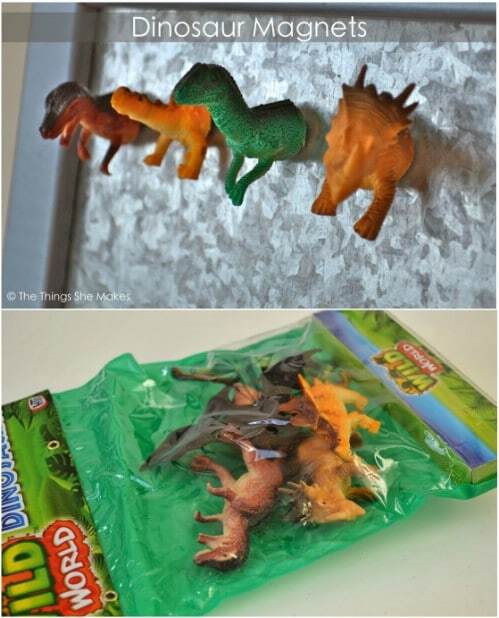 I love these fun DIY dinosaur kitchen magnets. They are so easy to make and your kids are going to love them! They are also super cheap. You can get a bag of plastic dinosaurs – or other animals – at the Dollar Store for like a dollar. Then you just create the magnets by cutting them and you can even paint them in any number of colors to make them a bit more elegant if you want, or leave them as they are for a bit more fun. I recently found a bag of black and white glass stones on clearance at my local Dollar Store for just a dollar, and the bag had about 20 stones in it! Those stones would be perfect for creating these lovely glass stone refrigerator magnets. You just choose the stones that you want to use and add a magnet. You could even decorate the stones if you wanted. Or, check out these that I found on Etsy. 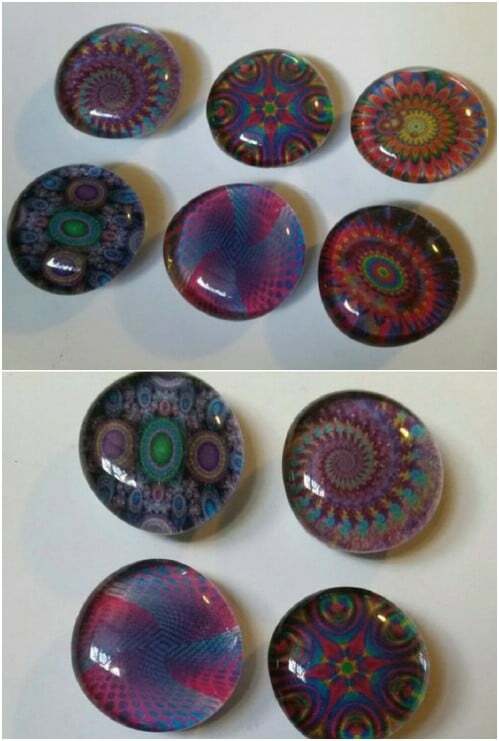 You get a set of six spiral decorated stones for $6. 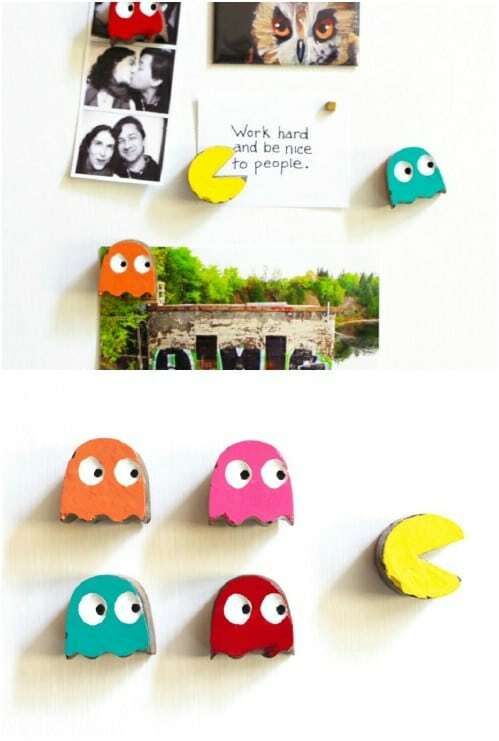 If you are a fan of the 80s or otherwise love Pacman, you are going to adore these DIY cement Pacman magnets. These are really easy to make. If you love good DIY concrete projects, this is definitely one that you will want to check out. You make these with quick mix concrete and a silicone themed ice cube tray. You could do any characters that you wanted as long as you can find the mold to create them. 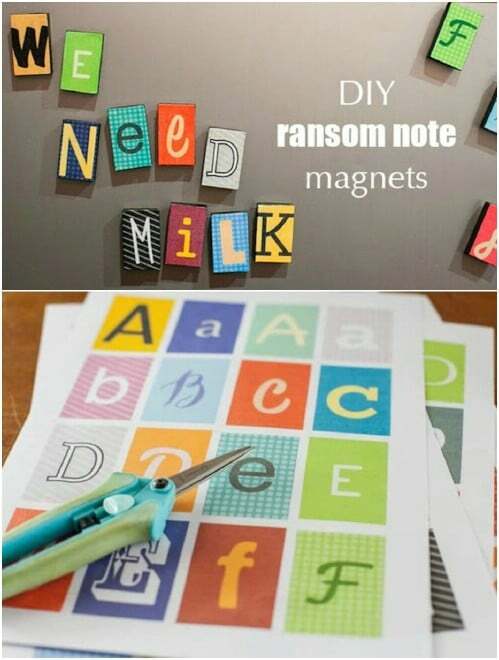 These DIY ransom note letter magnets are really cute and they are super easy to make. These are especially nice if you are someone who loves a good crime mystery. You make them from wooden blocks and then add your lettering that you can cut out from magazines – just like real crime show ransom notes! Use Mod Podge to keep them all together. These are so whimsical and they will definitely add some character to your fridge. 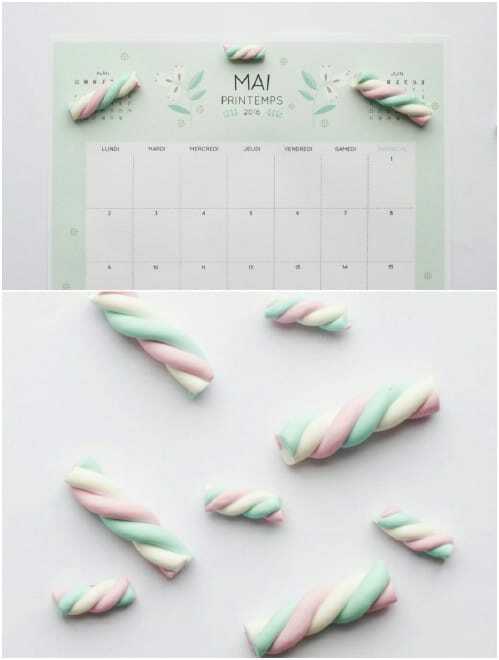 These colorful DIY marshmallow magnets are cute – unfortunately they are not at all edible, but they sure look like they are. You make these from clay and they look just like those marshmallows on sticks that you can get at convenience stores. I advise you to keep these up pretty on the fridge if you have little ones. You don’t want them mistaking them for those yummy sweets! 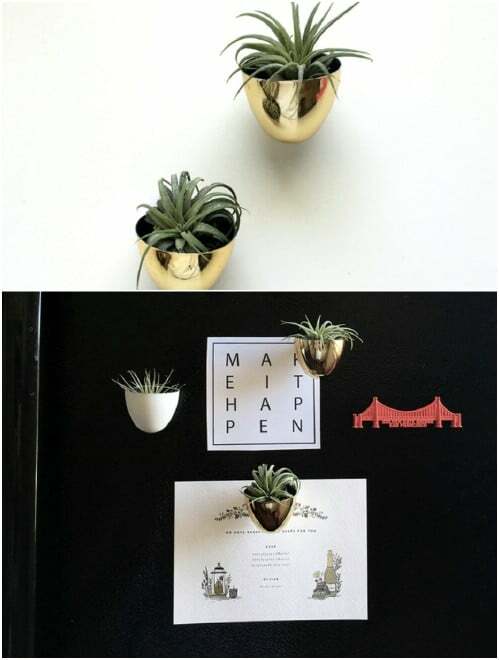 These little planters will bring some nature to your fridge and they couldn’t possibly be any easier to make. You make these from tiny plastic Easter eggs and then fill them with whatever little plants you want. This would be great for growing small herbs or succulents or you can add small faux plants and flowers to give your refrigerator a bit of color. I remember growing up, my grandmother had these adorable little fruit shaped refrigerator magnets. These DIY versions aren’t exactly the same but they sure to remind me of those little magnets that my grandmother had. You can make these with cement and a fruit shaped ice cube tray. They’re super simple to form and then you just have to paint them the colors that you want. 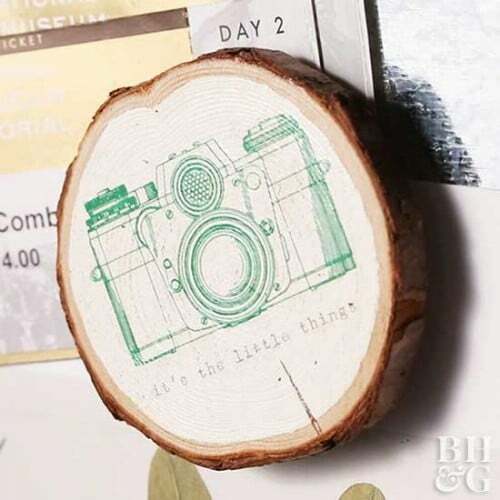 These DIY wood slice kitchen magnets are great, mostly because you get to put whatever image you want on them. You can paint pictures on them or just leave them blank, or even paint them all the same or different colors all over. They’re pretty easy to make – although you do need access to a saw of some kind. 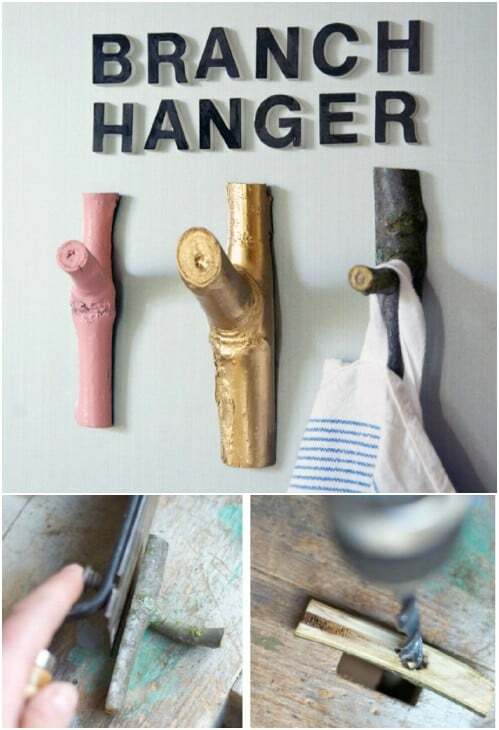 And, this is a great project to repurpose sticks and twigs from around your yard. 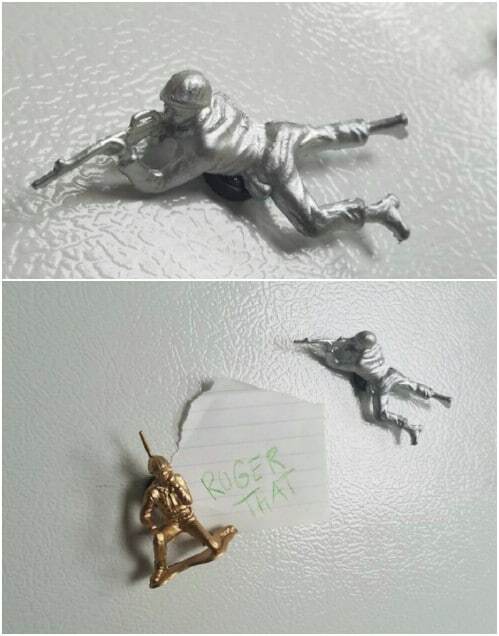 Little boys, and even big boys, are going to love these kitchen magnets that you can make from inexpensive plastic Army men. You can pick up a bag of Army men at your local Dollar Store for just a dollar. Then you just paint them and add the magnet. Or, you could take a look at these that I found on Etsy. You get a package of eight and they are painted silver and gold for a really elegant look. This is such a creative way to repurpose old kids’ toys. Who would have known that you could turn small branches into great hooks to hang on your refrigerator? These DIY kitchen magnets are really easy and super cheap since you make them from sticks that you can find in your yard. Just choose sticks that have little hooks on them. 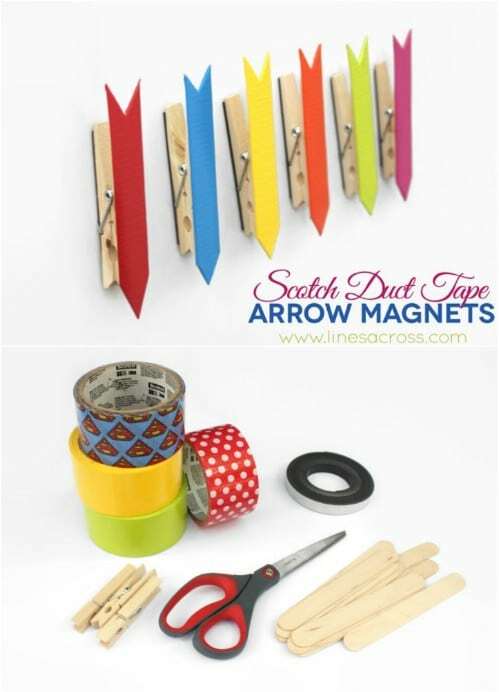 Then, you can paint them and add your magnets and use them to hang any number of things from your fridge. Small mini canvases are all you need, aside from paint, to create these gorgeous little mini canvas kitchen magnets. You can choose the colors and the designs yourself and you can find mini canvases at Michaels, Hobby Lobby or any craft and hobby store that you have close to you. They’re pretty cheap, too especially if you find them on sale. 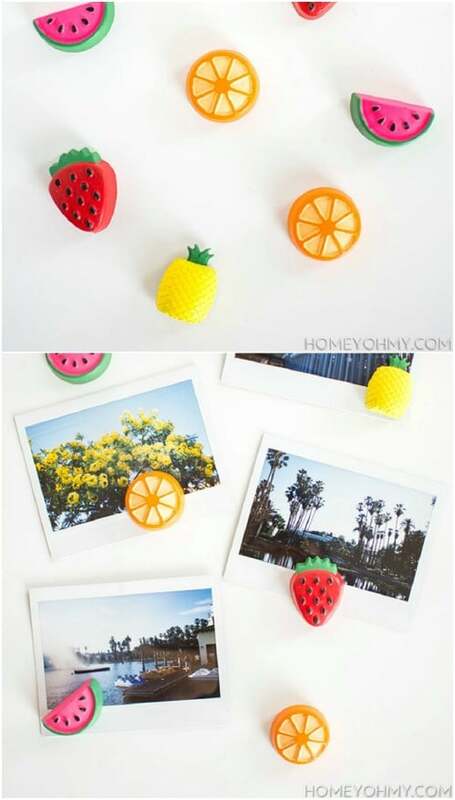 These DIY photo magnets are the perfect way to dress up your fridge and they are really much easier to make than they look. 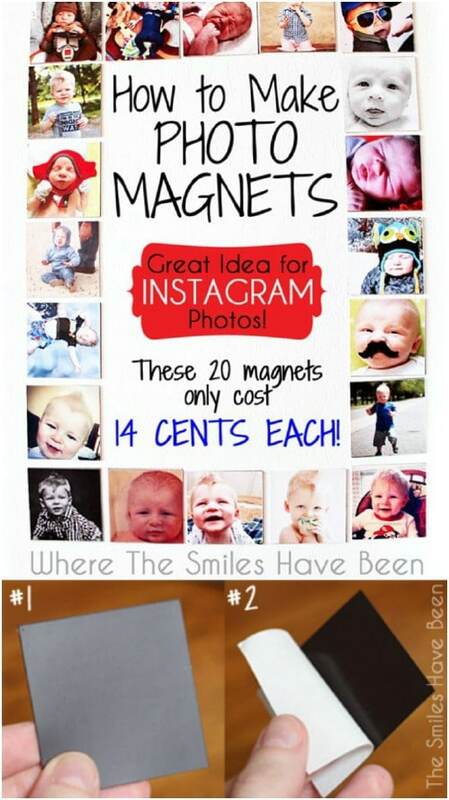 These would be great gifts for grandparents. You just have to choose the images that you want to turn into magnets and the rest of the process is relatively easy. This is also a pretty cheap DIY magnet project and it puts your favorite pictures right there on the fridge. A few pretty little agate gemstones can be turned into gorgeous refrigerator magnets in just a few minutes. 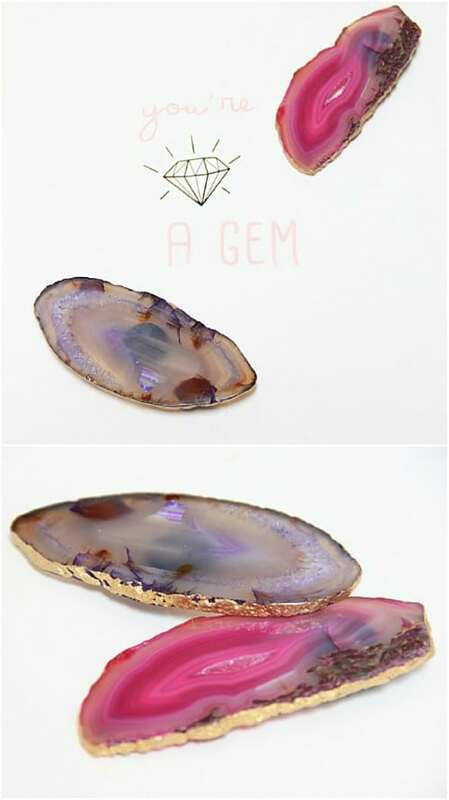 You can find these agate stones in a number of stores. Check your local hobby or craft store or look online. They’re not at all expensive and they do make the most gorgeous décor. Just add your magnets and you’re all done. These would make wonderful housewarming gifts! 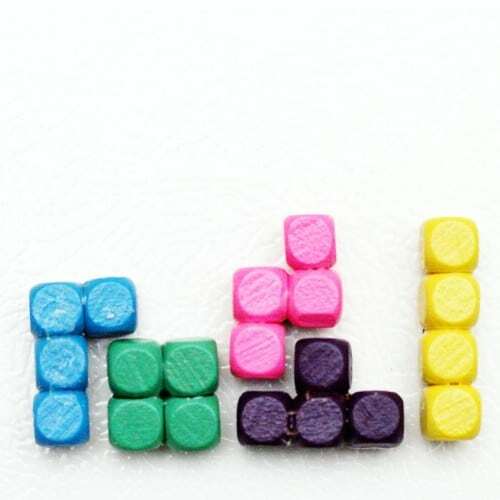 These whimsical magnets resemble the all time favorite game, Tetris. They are made with colored wooden beads and they are just as much fun to make as they are to display on your fridge. You get to choose the number of beads that you use for each magnet. Just recreate some of those Tetris blocks that you remember from the game and make them in a number of different colors. Add some natural color to the sides and front of your fridge with these little wine cork succulent magnets. 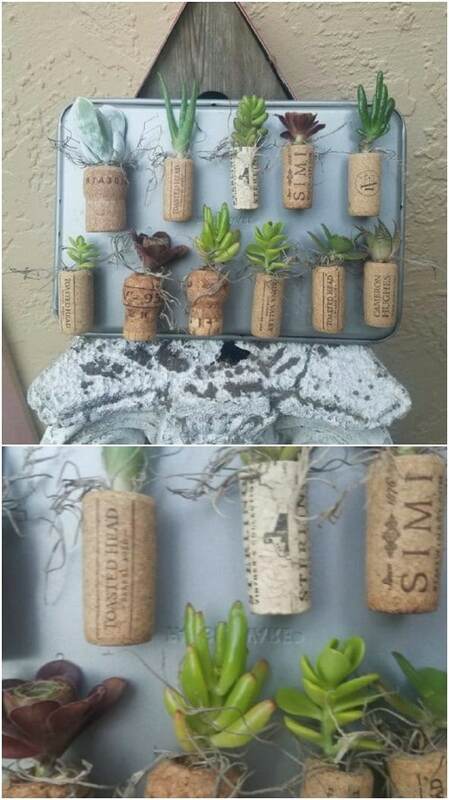 You make these from wine corks and then hollow them out just a bit to plant your tiny succulents. If you want, you could also do faux succulents but the real ones are so much prettier. I found these little gems on Etsy and they are just $5 each, or if you have a stash of old corks, this is a great way to repurpose them. Definitely add this to your list of creative projects to make from corks.